Posted on August 27, 2015, updated August 23, 2017. There you are, sipping a Pumpkin Spice Latte and grabbing your favorite sweater, when it hits you: “Where did the summer go?” Have no fear because there is still time to squeeze every last drop of summery sweetness out of these next upcoming weeks. 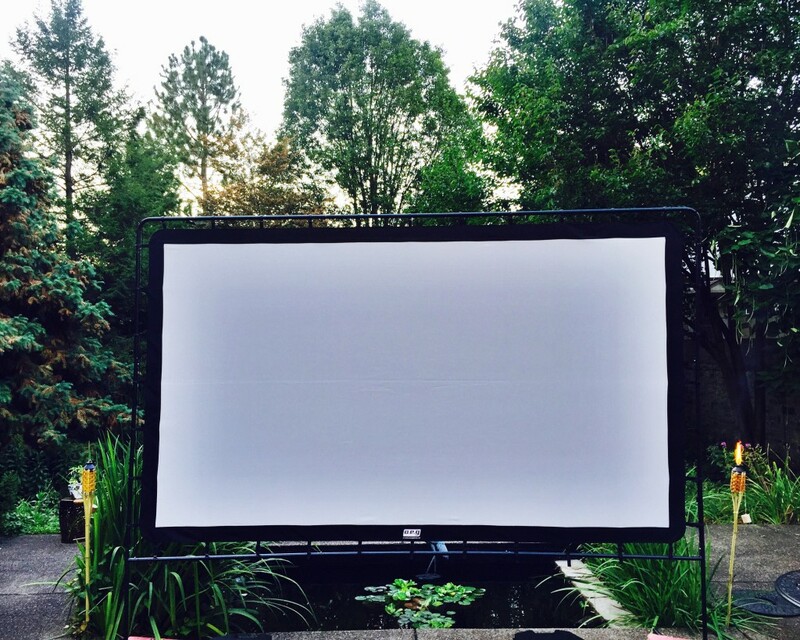 And what better way to cap off Summer 2015 than with a backyard movie night! Celebrate this Labor Day weekend in Oscar-worthy style by hosting a “Cinema & Cocktails” soiree for your closest friends and family. 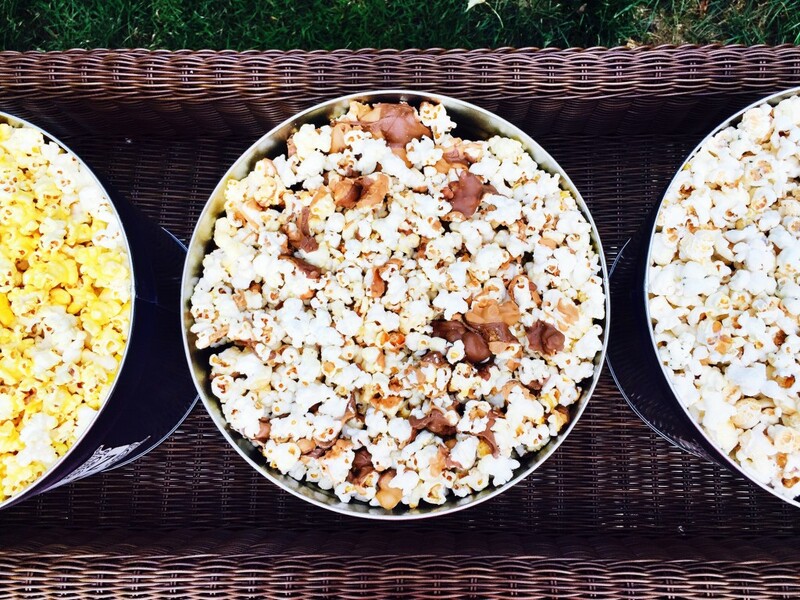 The most important part of hosting a backyard movie night is, you guessed it, the movie. Keep your audience in mind when selecting a movie so that it is appropriate and enjoyable for everyone attending. You can never go wrong with a romantic comedy like The Proposal, or an oldie-but-goodie classic such as Jaws or The Sandlot. 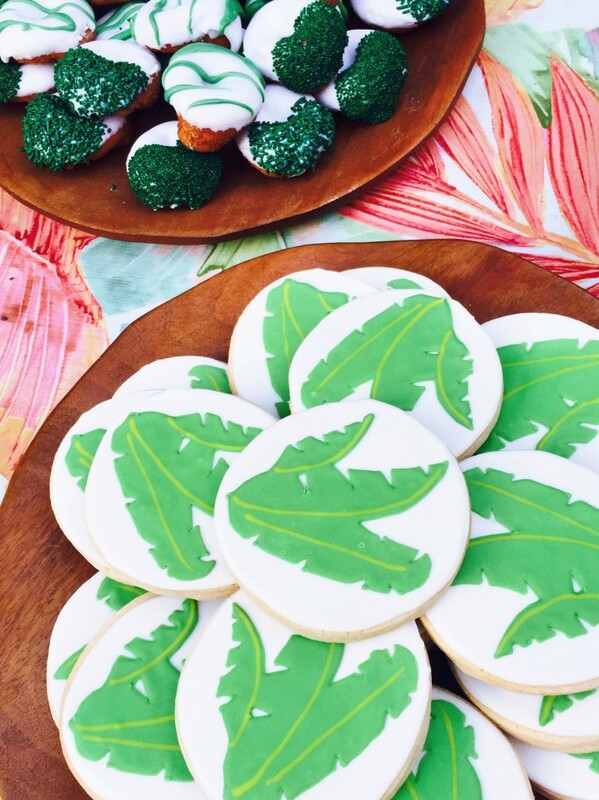 Jurassic Park was the inspiration for this fun and fresh movie night, which was hosted by one of our own event coordinators in her backyard. Once you’ve selected a movie, now you need a movie screen! 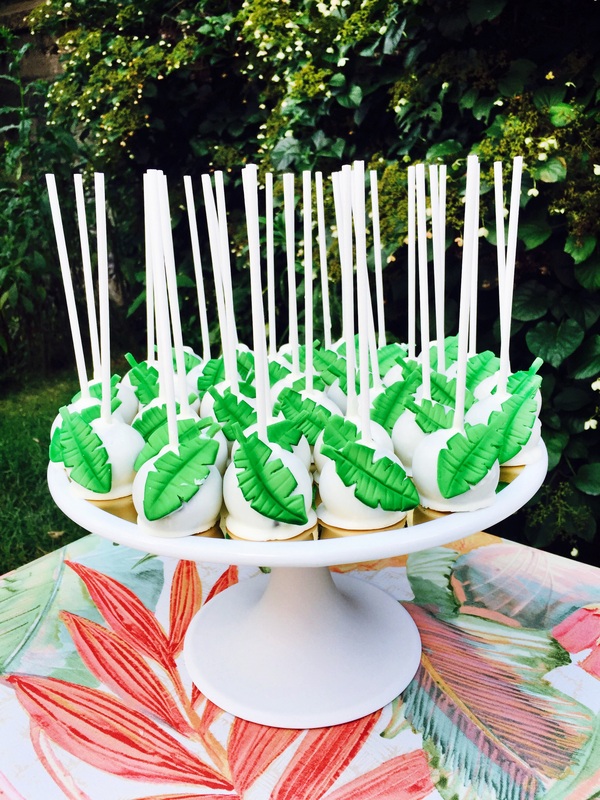 Whether you want to hire a professional service or try out your DIY skills, there are various ways to transform your backyard into the most theatrical of venues. Start by contacting local sound and rental companies to see if they offer an outdoor theater service. If you see yourself hosting several more movie nights, purchasing a home system might be worth the investment. 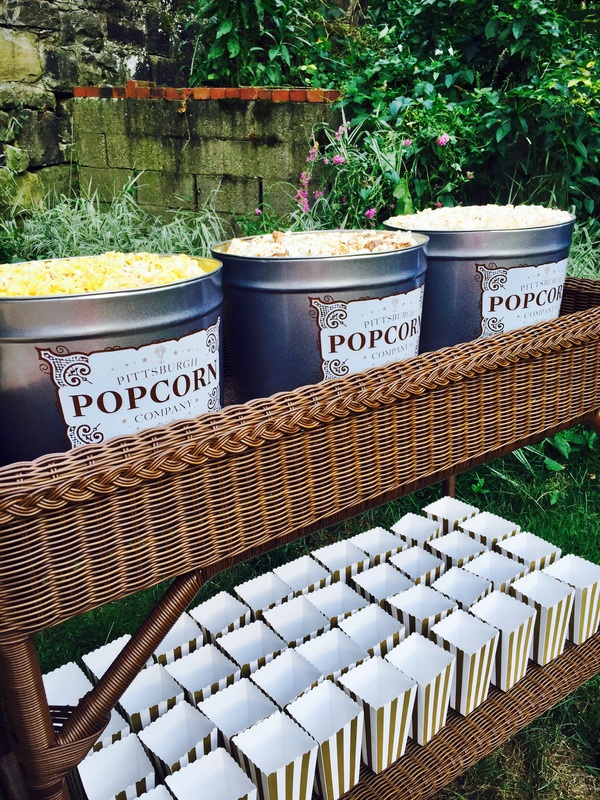 Although it may not be the most tech savvy, there is always the good old white sheet and projector set-up, creating a whimsical and quaint setting for your guests’ viewing pleasure. Because movie nights tend to be late night affairs, go light on food and offer delectable desserts and flavorful variations of popcorn. Keep everything in theme with a coordinating tablecloth and serveware. Be sure to communicate on the invitation to “BYOBC”, or in other words “Bring your own blanket or chair,” so that your guests are comfortable and warm. You may want to have some lawn chairs and blankets handy for unprepared guests. No al fresco affair is complete without some strategically positioned ambient lighting, so generously place candles, tiki torches and overhead string lights throughout the yard. Serving as the perfect transition from one gorgeous Pennsylvania season to the next, a backyard movie theatre experience is guaranteed to earn a standing ovation, or at the very least a Pumpkin Spice Latte.